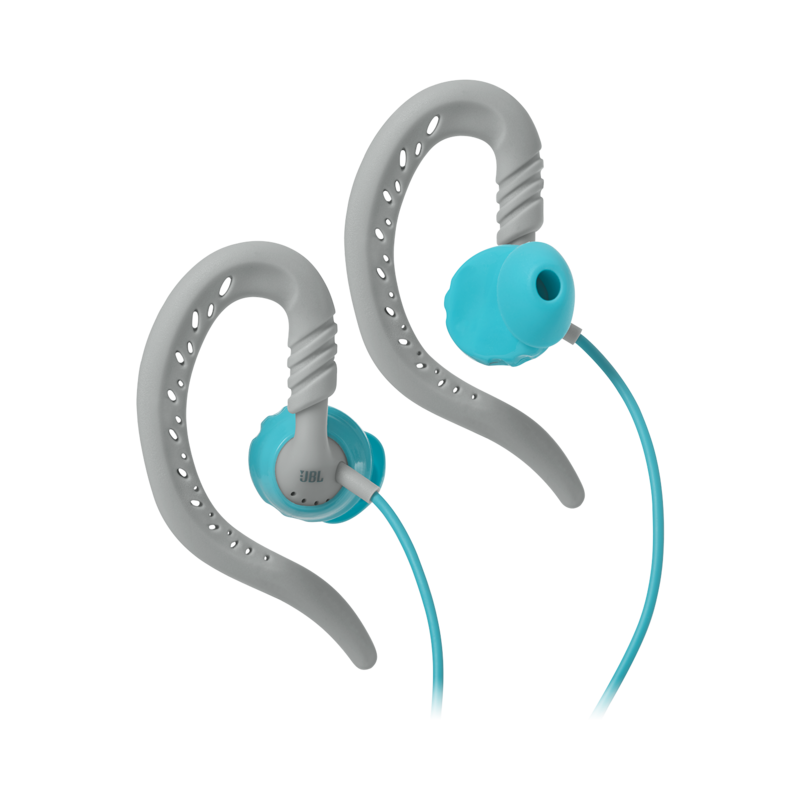 JBL Focus 100 Women | Écouteurs de sport tour d'oreille avec technologie Twistlock™ spécifiquement conçus pour les femmes. Développés pour s'entraîner dans n'importe quelles conditions, les écouteurs Focus™ 100 JBL® résistent à la pluie et à la transpiration. Notre technologie brevetée Twistlock™ garantit des écouteurs à l’ajustement parfait qui ne tomberont jamais de votre oreille, même durant les activités physiques les plus intenses. Ces écouteurs sont conçus en silicone flexible ultra-souple, pour un confort ergonomique longue durée. Conçus de manière ergonomique pour vous permettre de rester conscient des bruits environnants lors d'une utilisation active. Depuis 70 ans, les ingénieurs JBL ont créé le son précis et articulé de façon naturelle que vous entendez dans les cinémas modernes, les stades et les studios d'enregistrement du monde entier. Surpassez-vous pendant vos entraînements grâce à ces écouteurs de sport avec tour d'oreilles conçus pour s'adapter aux oreilles des femmes. La technologie Twistlock® et l’ajustement parfait Flexsoft® vous garantissent des écouteurs Focus™ 100 JBL® For Women qui ne vous blesseront ni ne tomberont pas, tout en laissant passer les bruits environnants pour que vous entendiez ce qui vous entoure. Conçus avec une taille spécialement pensée pour les petites oreilles et disponibles dans des couleurs vives, les écouteurs Focus 100 For Women resteront avec vous à chaque km parcouru, chaque répétition et chaque goutte de transpiration. Petits mais puissants. JBL Focus 100 Women est évalué 4.1 de 5 de 24. Rated 2 de 5 de Throwaway par Screwiest headphones I've ever had Truly I cannot believe I bought these. They do allow you to hear whatever sound is playing from your phone as well as ambient noises. Good luck getting these to stay on your ears. My ears are quite small - not the problem. These are not comfortable. At all. 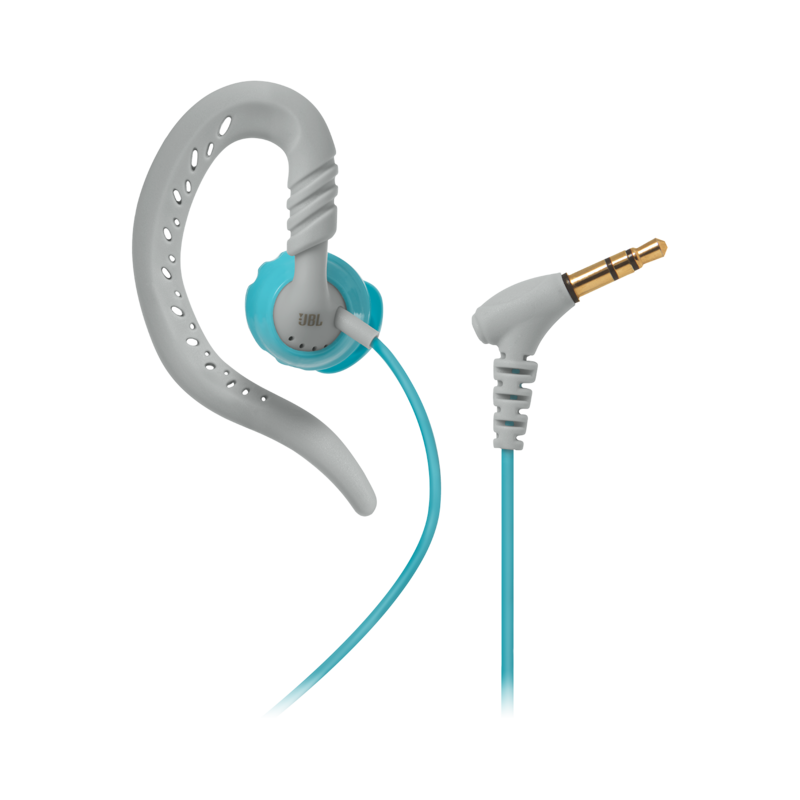 The grey swivelly parts require an undue amount of fiddling to insert, aren't comfortable at all, and fall off the main earbud part at the slightest prompting. The actual earbud part is gummy which seems to be useful to not slip out of your sweaty ears, however in practice is an amazing magnet for any lint, ear debris, fuzzies, and other mysterious substances. Normally you can just brush detritus off but no! Not on these. 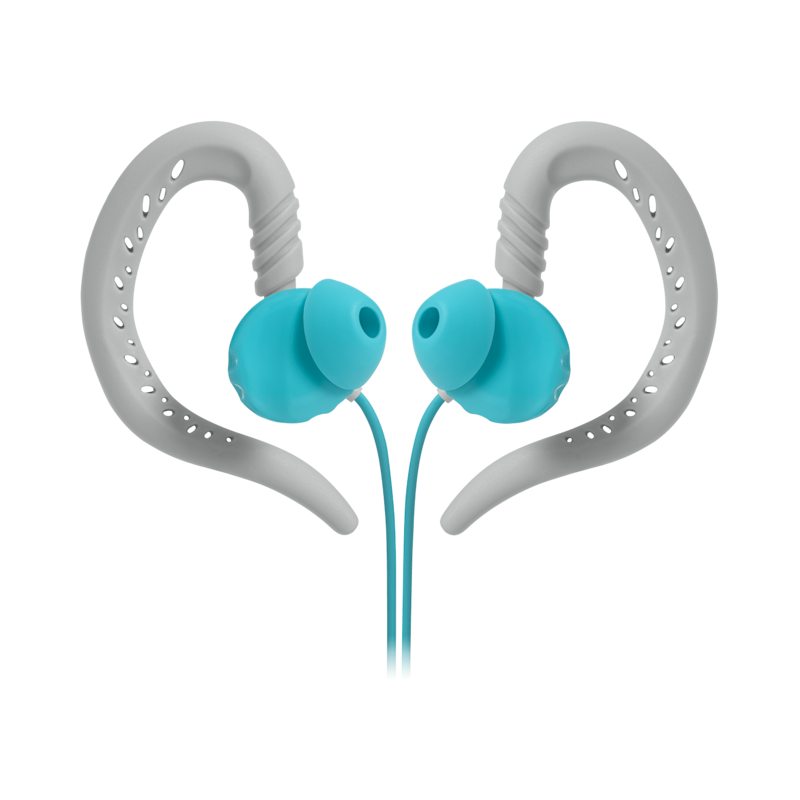 Magneto has nothing on the stick in power of these light blue earbuds. It's mildly fascinating and then just gross. Maybe on someone else's ears, these might be satisfactory, even useful! Alas, not these ears. I'm sorry I spent money on this. Rated 5 de 5 de Jennifer1432 par Would Recommend I got this as a gift and I really like it and would definitely recommend to others! Rated 1 de 5 de AshleyNR1106 par Awful, horrid, uncomfortable I bought these to treat myself to something nice..these were awful i wore them for an hour at first took way to long to get them in positioning was tricky. Within 5 mins i was fidgeting with them due to pain. I wore them for 4 hrs today once again hard to get in painfull fidgeted with them constantly. How are these made for women? The sound funnel is huge i had the smaller one on. And the piece that goes around the ear pops off easilsy.Don't buy ill be returning these. Rated 5 de 5 de Miss Priss par They stay in I've never been able to work out or walk around with ear buds because they fall out of my ears. Someone heard me say this and told me about JBL's; he looked it up online and emailed me the link. Later, I thought I would look at them even though I couldn't imagine the brand could make a difference. But they looked good, so I ordered a pair of the smaller size. As soon as they came, I tried them on and voilá! the little thing that wraps around your ear held them in. They sat there loosely, too, so I could still hear what was going on around me. They're great. Rated 5 de 5 de RunningRicky par Finally found a earphone for small ears! I bought for my wife who has returned 10+ pair that didn't fit her small frame. Focus for Women is your answer! If you have small ear and want to hear what going on around you give them a try. After her her praise I bought Venture Duro for myself and love them. How do I get replacement ear pieces and over the ear hooks? &nbsp;They always fall off and get lost. &nbsp;The earphones work well though and I just need the accessories. I've use the headphones (focus 100) during exercise and when my phone rang the people on the other end were saying they couldn't hear me. Should I have brought the other ones? Unfortunately, the Focus 100 does not feature an inline microphone in order to receive phone calls and, skip tracks and pause and play your music. Please visit JBL.com to check out our Focus/Inspire 300 and 500 series that features a microphone, thank you! The size 4 is the standard size that comes on all the women's models which is the smallest size we offer. By habit, we try to shove earbuds into our ear canals in attempts to get them to stay in. The yurbuds brand is a completely different concept. The tip of the enhancer should funnel gently down into the ear canal and the base of the enhancer should fill the entire concha (bowl) of your ear. If there is still quite a bit of space between the back of the enhancer, and the back of the bowl of the ear, there is nothing to support it and it will eventually fall out. Typically a larger size will fill the extra space inside the concha. If you are not satisfied with the fit, please take a profile picture of the yurbuds in your ear and send that to orders@yurbuds.com describing the issues you are having. You should get a response within 24 hours from someone on our support team that will be able to get you into a better fitting size/model.